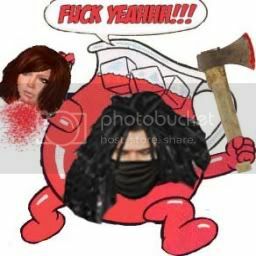 No thread about pancakes is complete without my favorite custom made morph by my favorite banned assassin. It's a LOOOONG story behind that one. Yes Pancakes....this is very much your theme song, I swear they wrote it just for you. Ven, that was very, very naughty. Sempati wrote: Yes Pancakes....this is very much your theme song, I swear they wrote it just for you. Did I ever tell you the story about how they use to play in bars here before they made it big? Anyway.... LOL you're so right, that's the song I play to get in character when I do my coin girl thing. hmmmm, but that is more about how to eat a pancake....not make one. I have to ask: why is the Pani guinea pig (or is it an unfortunate bunny that had a pikelet land on its head) always taking 2 steps forward and one back? The indecisive bunny is not a good look Pikelet. Dren Bernard wrote: I have to ask: why is the Pani guinea pig (or is it an unfortunate bunny that had a pikelet land on its head) always taking 2 steps forward and one back? Oh man, you're making me think too hard today. I truly never noticed that the bunny was moving more in one direction than the other. I just thought it was cute, and pancake-y. I suppose if it's taking two steps forward, and one step back, it kind of well represents my life though LOL some days it sure feels like that. But if you don't think it's a good look for me I'm open to suggestions for a new forum avatar. Bunny with a Pancake on it's head. 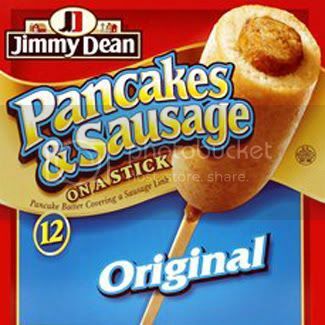 How about pancake on a stick? I'm laughing so hard I gave myself hiccups again.